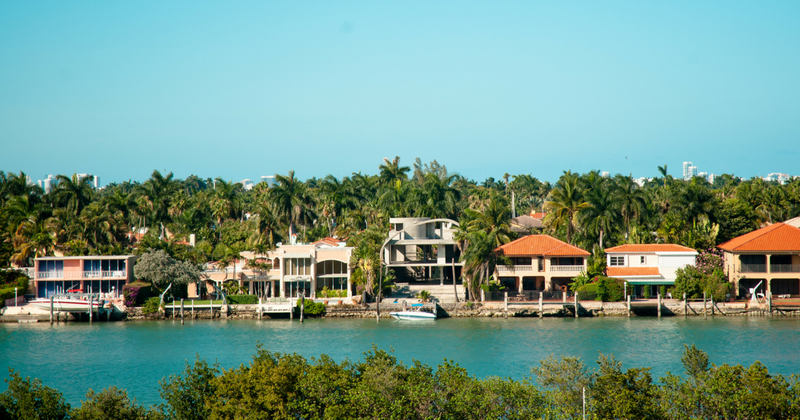 Homes Versus Condos In South Florida: Which Is Right for You? - Hurricane Resistant Patio Doors, Impact Windows, Custom Entry Doors, Installation of Impact Doors and Windows in Miami | Get a Free ASP Windows Quote! Homes Versus Condos In South Florida: Which Is Right for You? Buying a home in South Florida takes time and patience especially if you are deciding between a house and a condo. South Florida is the only tropical state in the United States, which is why it is popular among Americans as an ideal place of residence, thanks to its lush, warm climate and beaches. If you are considering buying a home in South Florida, an important question to consider is what kind of home suits you best, a condo or a house? Here are the benefits of buying a condo vs. a house in the gorgeous sunshine state. A condominium or a condo is a kind of individual living space or home unit that is independently sellable even if it is part of a building structure. Condominiums are considered real estate; therefore, their buyers can claim ownership of them. For those who are thinking of purchasing condos in South Florida, here are some of the reasons why you should. Condo owners enjoy certain luxury amenities that are not usually readily available to house owners. Most condos have swimming pools, spas, gyms, tennis courts, clubhouses and fitness centers that can be used by all residents of the entire condominium building. Living in condos means that part of your dues goes to the upkeep of the whole building. This is ideal especially if you are busy and do not want to be bothered with the responsibility of maintaining your home. Being a resident of a condo means that you leave among other condo owners, If you love the intimate set-up of condos and being around other people, then a condo is definitely right for you. Condos are cheaper than most houses. Because most condos are relatively smaller than single-family houses, they are usually sold for a lower price. A traditional single-family house is also a popular choice among South Florida residents. A home is a free-standing traditionally detached house which is separated from other structures through a wall. If you are thinking of buying a home, read on to know some of the benefits as opposed to buying a condo. A house gives you more space. A house can give you more space for your family. You can own pets and entertain guests without thinking of disturbing neighbors and complying with the rules of your building. You also have a bigger indoor space for your furniture and things and a larger outdoor area or a lawn. Owning a house means you have full control over it. You can renovate and remodel your home without asking for permission or consent. Because traditional houses are separated from other homes, they are a good choice for people and families who value their privacy. Ultimately, deciding whether to buy a condo vs. a house in South Florida will be based on your personal preferences, personality, and budget. Whether you choose a home or a condo, South Florida is a great area to reside in because of its lovely weather, a large metropolitan area, proximity to beaches, and its vibrant culture. If you want the services of a trusted window and door service company for your condo or house, contact ASP Windows and Doors now at (844) 311-7767.